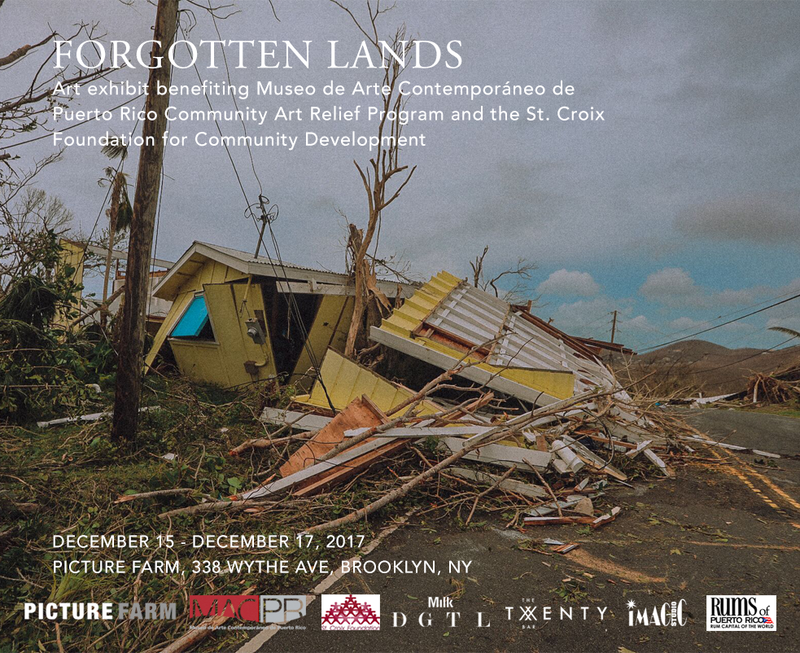 Picture Farm Gallery announces Forgotten Lands, an upcoming art exhibition to raise relief funds for hurricane stricken communities in the Caribbean and Puerto Rico. Featuring artists from Jamaica, Virgin Islands, Puerto Rico and Mainland USA, the show will include large scale work as well as 8 x 10 photographic print work for sale. Opening reception will be on the evening of Friday December 15th from 6-9 PM, with open doors through that weekend of the 16th/17th. It is a wonderful opportunity to buy holiday gifts and support rebuilding efforts.